WebM is an emerging audio-video format that designed to support royalty-free, open video compression format to be used with HTML5 video. A WebM file is consisted of VP8 video and Vorbis audio streams and high in quality and small in size, which is suitable to share online. That's why now it is accepted by more and more online video sites like YouTube. 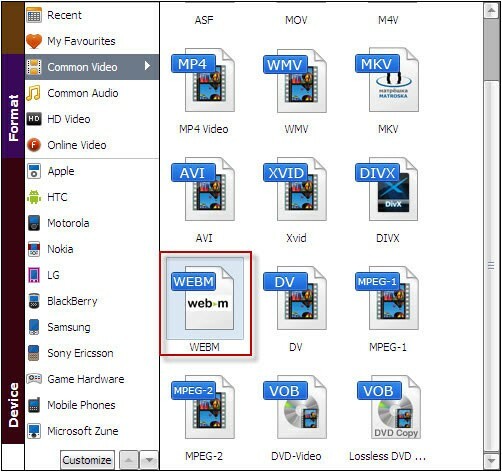 So if you are a video fan, you may want to convert your DVD movies to WebM so that you can share them on the Internet effortlessly. Then how to finish the task and share the DVD movies online with more people? Well, what you need is a DVD to WebM converter that is able to convert DVD to WebM with lossless quality. Here Aimersoft best DVD ripper software is highly recommended to help your rip DVD to WebM with ease. Besides, it comes with a built-in video editor that allows you to customize your videos before converting. And apart from WebM, it can also rip DVD to all popular video formats like MP4, MOV, MKV, AVI, WMV, FLV, etc. 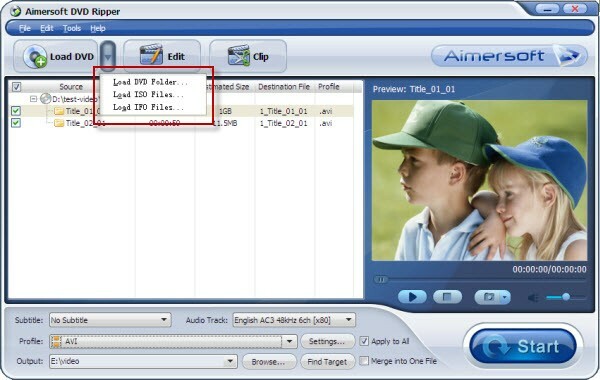 If you are using a Mac, you can refer to Aimersoft DVD ripper for Mac. Now get the trial version of the program and convert DVD to WebM for sharing online easily and fast. Note that the below guide uses DVD Ripper for Windows screenshots. The way to convert DVD to WebM on Mac is the same. Just make sure you get the right version. Add the DVD movies you want to rip by clicking the "Load DVD" button. You can also load some ISO and IFO files as you can see from the below picture. After you have loaded the files, you can have a preview on the right and take some snapshots and change the video volume at will. Now click "Profile" and select "WebM" from "Common Video" as the output video format. If you like, you can click "Setting" to set your video resolution, bit rate, frame rate, etc. After all necessary steps, go back to the main window of this program and click the "Start" button to begin converting DVD to WebM videos. When the conversion finishes, click "Find Target" to locate the converted WebM videos and then you can share them on the Internet as you like. Best Way to Convert DVD to MP4 on Windows or Mac OS X?